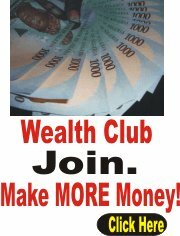 Safe Investing Strategy Lagos Nigeria - Free Tips For Safe Investing - Secure Your Investment! Safe investing strategy is adopted by seasoned investors in Lagos Nigeria real estate and in other forms of investing because no one wants to lose his or her hard-earned money to some hard-hearted, inconsiderate conman. Adopting a safe investing strategy when you invest in real estate and in other forms of investment secures your investment capital and your profit. There is no use buying a property that sells at a ridiculously low price and with . . .
. . . if the property does not have a good title. If you have an eye for safe investing, you will do thorough research before investing in a property . . . residential or commercial. Simple. You want to secure your long-term profitability. Adopting a thorough and secure approach to investing, called safe investing, is absolutely important if you want to invest and enjoy your investment for life. And this does not apply to real estate investing alone. It applies to every facet of investing whether real estate, stocks, bonds, or even business. Let me share with you an example that drives the point home. A man wanted to invest in real estate in Lagos Nigeria because he heard of the high return on investment from Lagos Nigeria real estate. He found a really cheap property . . . a deal too good to be true. He was told that there were several interested buyers in the property and that the first to make payment would be the eventual owner of the property. His estate agent told him that he got wind that one of the interested buyers had planned to make payment on Thursday the following week. And that he could close the deal if he paid before Thursday. Excited about the deal and afraid of losing out, the potential investor quickly raised the money and made payment for the property. Months later, he discovered that the property was on government acquired land and that the previous owner sold it for that price to cut his loses. Unfortunately, it was too late when he discovered this. He made some returns from the property for a couple of years before the government came and took over. He lost over 80 percent of his investment in that deal. Safe Real Estate Investing - Adopt It! I hate to lose money. I suppose you are like that too. Simply Make Safe Real Estate Investing A Habit. As they say, "if something is too good to be true, it usually is". In particular, if you are contemplating investing in Lagos Nigeria real estate, you should . . .
You deserve to enjoy the fruits of your labour. And you will if you adopt the principles of safe investing. P.S. Chapter 9 of the ebook, "Investment Property Strategies - 7 Proven Strategies To Make Money With Lagos Nigeria Real Estate" explains how to secure your investment profitability through balanced investment portfolio. Click HERE to learn more.